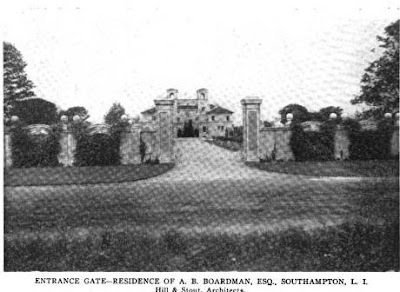 'Villa Mille Fiori', the Albert Barnes Boardman estate designed by Hill & Stout c. 1910 in Southampton. 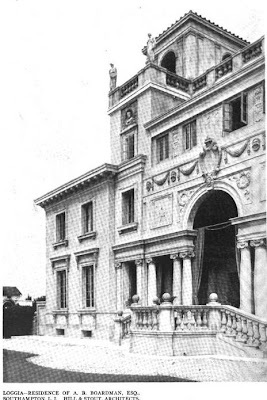 The house was based on the 'Villa Medici' in Rome. A.B. 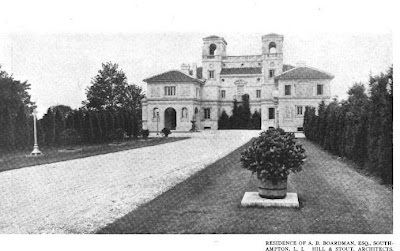 Boardman had Polhemus & Coffin design another house for him in 1923 at which time he sold 'Villa Mille Fiori' to a law partner in his firm, Morgan O'Brien. 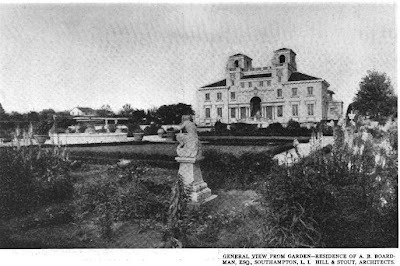 Though the house was demolished in the 1960s, click HERE to see where it stood on google earth. 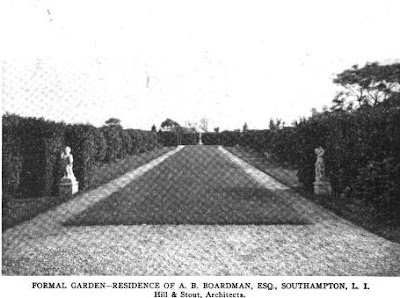 Pictures from Architectural Record, 1916. 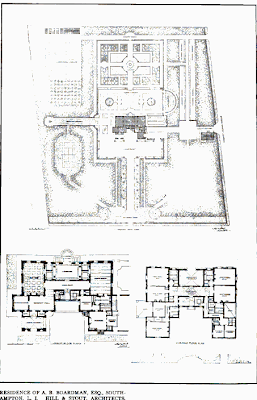 Click below to see 'Villa Mille Fiori' intact and still standing in a 1960 aerial shot. 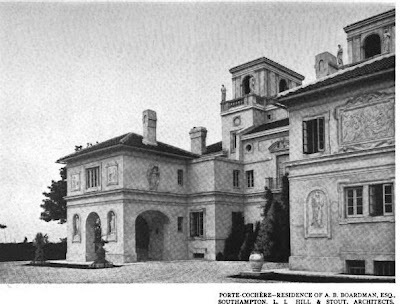 As a child, I lived directly across Coopers Neck Lane from the still extant gates of Villa Mille Fiori. A cottage on the estate was all that was left. It was owned by a man named Jan Mitchell who ran the New York Restaurant, Luchows. I hadn't thought about the house or Mitchell in years until yesterday, when Mitchell's obit appeared in the NYTimes. What a coincidence. Keep up the excellent work Zach. I'm trying to figure out if it's (a) a New World abomination or (b) just plain marvelous. Seems like a lot was demolished in the 60's or 70's. Sad it is. So many beautiful estates. You are right on both counts but I am leaning toward marvelous based on what appears to be wonderful craftsmanship. It would fare better hidden in the hills of Westbruy like Knole though. This was my great-great grandfather's place. And my grandmother still tells us how she used to pick berries in the garden of the estate. It's a shame it was torn down.